What ultimately determines which eyewear options work and which don’t is your face shape. There are four main face shapes: round, square, oval, heart-shaped. If you’re unsure of what category you fall under, simply trace an outline of your face using a picture of yourself, and noting which shape it resembles most closely. Whether you’ve got a round face or a square one, Elliott Opticians will have the perfect pair for you. Follow the simple tips below to help you pick the right glasses for your face shape. Look out for angular frames. These will make your face appear less round by adding structure. Usually, these frames are wider than the face, which in turn adds more of a balance to the circular features. Such glasses will enhance your face and even make it appear longer and slimmer. If you're going angular then make a statement, as bigger frames work better for round faces. The key to picking frames for a square shaped face is to soften the angular features. This can be achieved by selecting rounder styles, or frames with curved corners. Look out for styles with thinner metal frames, as these will soften your features and look less heavy than darker acetate frames. Most frames look great on oval shapes faces, as they have both gently rounded and defined elements. Aviator lenses look great on an oval face, but bold shapes are best. Cat-eye shaped glasses are perfect for women with an oval face. This vintage inspired frame tends to highlight a person’s eyes and give the face an instant lift. You can also opt for geometric shaped eyewear frames that have a strong bridge. Squares and rectangles best complement and highlight an oval shaped face. 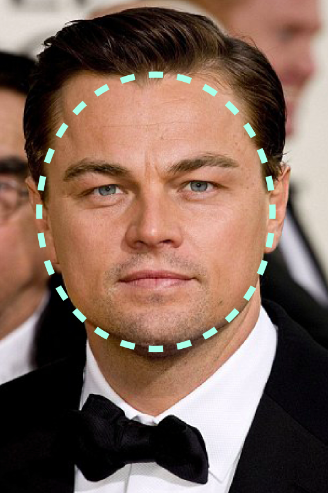 If your chin is pointed and your forehead is the widest part of your face, you have a heart-shaped face. When picking frames, your aim is to broaden the appearance of the chin and proportion throughout the face. Look out for frames that are lighter in colour, delicate metal rimmed styles or even clear plastic glasses. Frames that have broader bottom halves - or some form of design interest towards the bottom of the frame - will add balance to the lower section of your face. Round or slightly curved edged glasses will draw the eyes away from a high forehead.